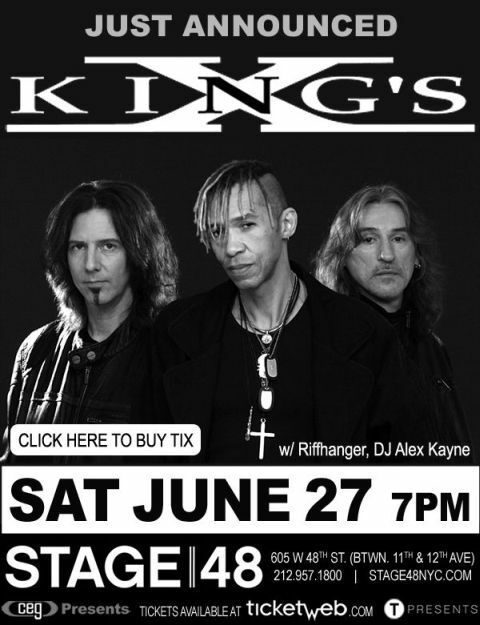 The Details: King’s X are road warriors and one of the best sounding bands that I have ever had the pleasure of seeing in concert and I have to say that they have not disappointed their fans yet in terms of great gigs and solid recordings. Those of you who have similar experiences are likely nodding your heads along to the statement and yet despite this there are far too many people that have not a single idea about what this band holds in their musical grasp. 2014 finds them still pushing forward with the musical charge, and very recently the band celebrated the 25th anniversary of their much lauded release “Gretchen Goes To Nebraska” (click the text for our toast to this musical milestone). 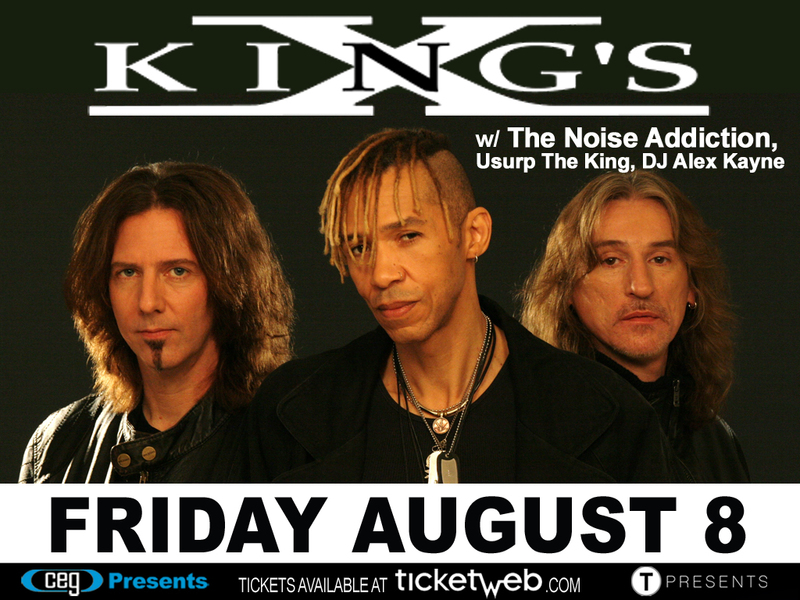 That said, I am once again super excited to say that thanks to the folks from CEG Presents, some lucky PiercingMetal fans will be hitting the show for free when they hit the beautiful Stage 48 club. Read more on how you get in on this.